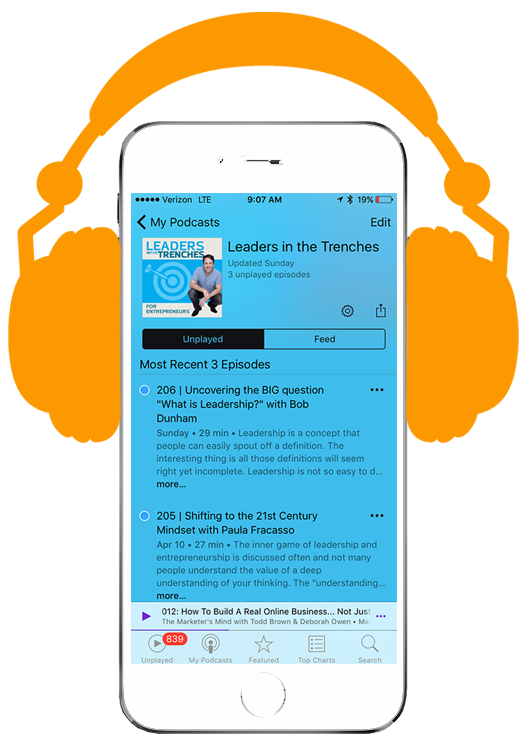 Our podcast is about leadership and fast-growth. We have been recognized by Entrepreneur and Inc Magazine for our work in leadership. In 2018, the podcast has increased downloads by more than 100% with our progressive marketing of the show through video segments on distributed on LinkedIn, Facebook, Instagram, Twitter, YouTube, and other social channels. We get hundreds of submissions to be on the show and curate the best guest for our audience of business owners and leaders. We have a content schedule and themes that we align with our audience needs. Note: We can not take all submissions. All interviews are about 20 minutes in length and done in video so we can make additional pieces of the show that are used in social channels. Some of the interviews will be made into articles for Inc Magazine. We can't promise this for each interview, but it possible. We do NOT take money for articles written for Inc Magazine to comply with the terms of service as a contributor to the platform.